Ghostly International – Shigeto new album “Full circle” + free track – Chain D.L.K. Thus far, Zach Saginaw’s releases as Shigeto have been fragments, albeit singularly satisfying fragments—EP-length glimpses into the Brooklyn producer’s creative psyche. 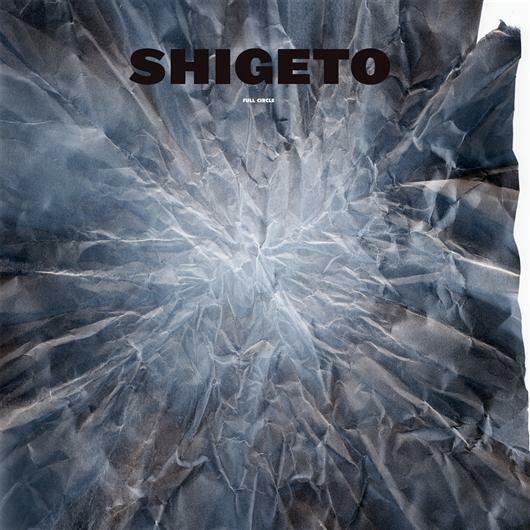 After filling two EPs on Ghostly International (Semi Circle & What We Held On To ) , Shigeto’s lush, sumptuous take on instrumental hip-hop has fully materialized. Full Circle , the artist’s first full-length album due on November 9th, completes the journey begun with Shigeto’s Semi-Circle EP, synthesizing the drummer/producer’s signature themes of family, continuity, and musical boundary-pushing into a vibrant, fully unified artistic statement. The sounds on Full Circle come from four years of obsessive field recording and collaboration. Saginaw brought his Tascam mini-recorder with him everywhere, capturing the “glasses, chains, breathing, children, family meals, monks singing in cathedrals, walks in the south of France, and good friends offering their musical skill” that would all find homes in the record’s compositional nooks and crannies. As a result of Saginaw’s constant documentation, the songs on Full Circle play like chapters in an ongoing story—as in “Escape from the Incubator”, whose initial rhythmic claustrophobia opens up into a boom-clap nocturnal chase, or “French Kiss Power Up”, whose romantic digital strut gives way to discord and fragmentation as the waves of synthesizer give way to a shaky, neurotic coda. Full Circle is framed by the “Ann Arbor” diptych, a pair of beat suites named after Saginaw’s hometown (one featuring a sample of Detroit MC SelfSays), all double-thick synths and triple-strength kick drums. Saginaw plays the majority of his rhythms by hand, and Full Circle’s consistently deep pocket is the record’s secret weapon, thumping and breathing like a living being. Having set the stage with Semi-Circle and What We Held On To EPs—twin treatises on Saginaw’s Japanese grandmother’s escape from a US internment camp—Shigeto is clearly ready to draw the tale to a close and take center stage. “This release represents the end of the beginning—or perhaps that there is no end and no beginning at all,” says Saginaw. Regardless, Full Circle is the start of something great. Zach’s body of work has grown over the last few years to the tune of several EPs on Moodgadget as Shigeto and with A Setting Sun, a pair of EPs under the alias Frank Omura (another family-name reference), and remixes for Worst Friends, Praveen & Benoit, Tycho, Mux Mool, Charles Trees, A Setting Sun, Beautiful Bells, Shlohmo, and more. The Semi-Circle EP will be his first release with Ghostly International; the full-length Full Circle is on the horizon. Semi-Circle is a fiercely independent work of art, nominally indebted to instrumental hip-hop but, like Zach, straddling many worlds at once. Cool shades of ambient music, stuttering early IDM, dubstep sub-bass, and jazz melodicism color Shigeto’s palette, which he wields with a painterly attention to detail. As Ghostly International hits its 10th anniversary, Shigeto is one of the first of a wave of young artists who grew up influenced by the label’s early output. And again, names come into play. “Putting out this record on Ghostly isn’t just ‘getting signed,’ for me,” says Zach, “it’s becoming part of a family, an influence that I’ve respected forever. That’s Full Circle.” Let’s just say the feeling’s mutual.